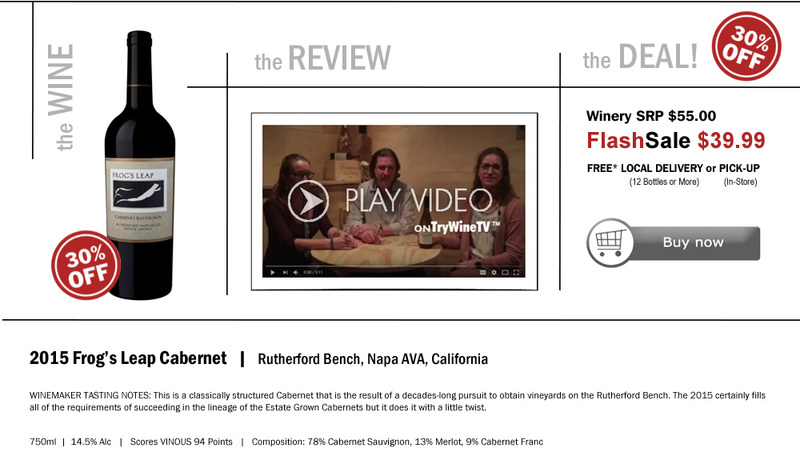 FlashSaleWines.com features Periodic Flash Wine Sales on Wines from Around the Wine Producing World, Hand Curated by our TRY WINE Team of Wine Experts. This Web Site is Run by TRY WINE INC, and you are Purchasing your Wine from TRY WINE INC. Wine Deals are Available Only Until they are Sold Out. Quantities are Always Limited, and we Offer Only ONE WINE DEAL (in one or more categories) at a Time. These Wine Deals are NOT AVAILABLE IN STORE, only through the FlashSaleWine.com Web Site, and only while they last. Deals can be Time Based or Quantity Based. Must be 21 or over to Purchase and/or Receive Wines.